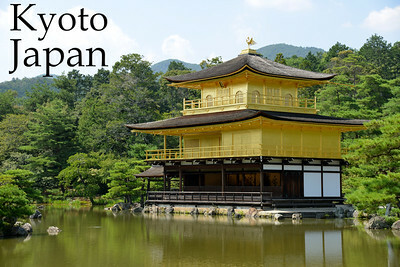 Kinkaku-ji (金閣寺),"Temple of the Golden Pavilion" is officially named Rokuon-ji (鹿苑寺) "Deer Garden Temple". It is a Zen Buddhist temple in Kyoto, Japan. The garden complex is an excellent example of Muromachi period garden design. The Muromachi period is considered to be a classical age of Japanese garden design. 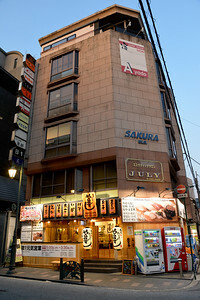 The correlation between buildings and its settings were greatly emphasized during this period. It was a way to integrate the structure within the landscape in an artistic way. The garden designs were characterized by a reduction in scale, a more central purpose, and a distinct setting. A minimalistic approach was brought to the garden design, by recreating larger landscapes in a smaller scale around a structure. 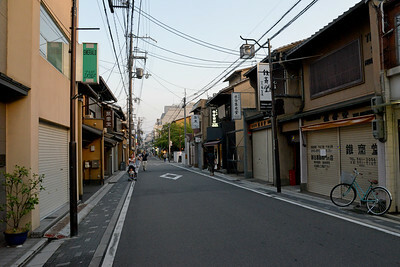 Kyoto (京都市) is a city located in the central part of the island of Honshu, Japan. It has a population close to 1.5 million. 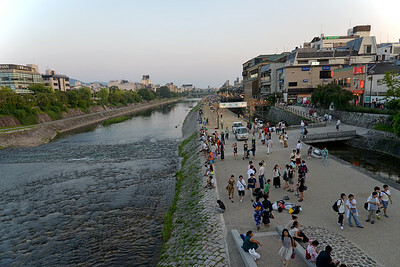 Formerly the imperial capital of Japan for more than one thousand years, it is now the capital of Kyoto Prefecture, as well as a major part of the Kyoto-Osaka-Kobe metropolitan area. 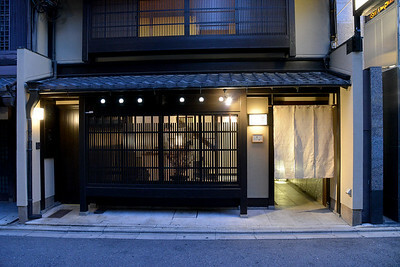 With temples, parks, bustling business districts, markets, from regal estates to the tightly-packed neighborhoods, Kyoto is one of the oldest and most famous Asian metropolises. 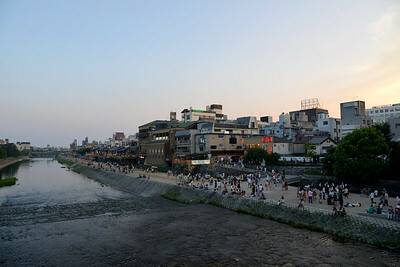 Although ravaged by wars, fires, and earthquakes during its eleven centuries as the imperial capital, Kyoto was spared from much of the destruction of World War II. With its 2000 religious places- 1600 Buddhist temples and 400 Shinto shrines, as well as palaces, gardens and architecture intact, it is one of the best preserved cities in Japan. Space is limited - an interesting car park. 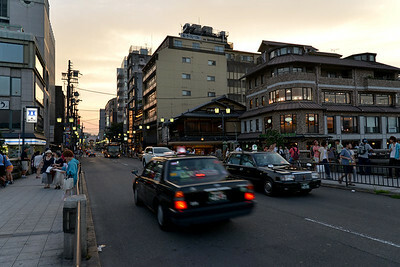 Kyoto (京都市) is a city located in the central part of the island of Honshu, Japan. It has a population close to 1.5 million. 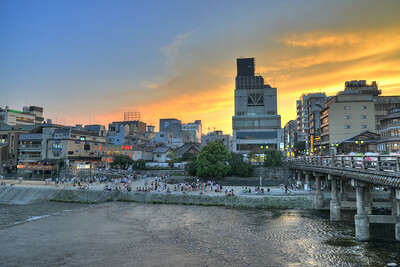 Formerly the imperial capital of Japan for more than one thousand years, it is now the capital of Kyoto Prefecture, as well as a major part of the Kyoto-Osaka-Kobe metropolitan area. 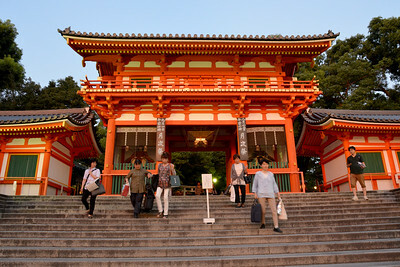 With temples, parks, bustling business districts, markets, from regal estates to the tightly-packed neighborhoods, Kyoto is one of the oldest and most famous Asian metropolises. 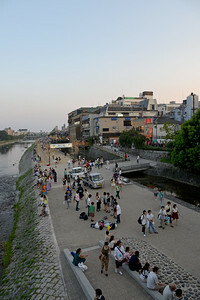 Although ravaged by wars, fires, and earthquakes during its eleven centuries as the imperial capital, Kyoto was spared from much of the destruction of World War II. With its 2000 religious places- 1600 Buddhist temples and 400 Shinto shrines, as well as palaces, gardens and architecture intact, it is one of the best preserved cities in Japan. Japanese lady dressed in the kimono (着物?). 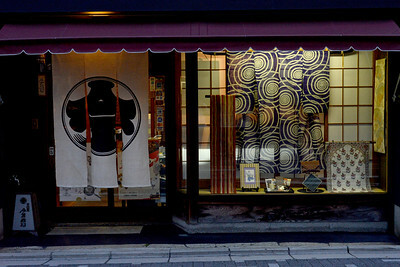 Kimono is a Japanese traditional garment. The word "kimono", which literally means a "thing to wear" (ki "wear" and mono "thing"), has come to denote these full-length robes. Kimono are T-shaped, straight-lined robes worn so that the hem falls to the ankle, with attached collars and long, wide sleeves. 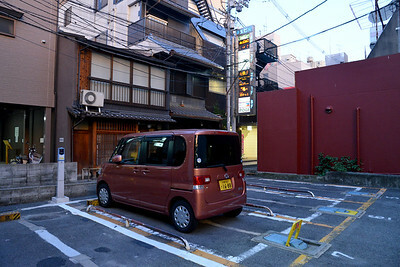 Kimono are wrapped around the body, always with the left side over the right (except when dressing the dead for burial. ), and secured by a sash called an obi, which is tied at the back. Kimono are generally worn with traditional footwear (especially zōri or geta) and split-toe socks (tabi). 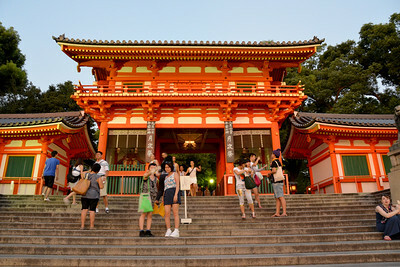 Yasaka Shrine (八坂神社), once called Gion Shrine (祇園神社), is a Shinto shrine in the Gion District of Kyoto, Japan. 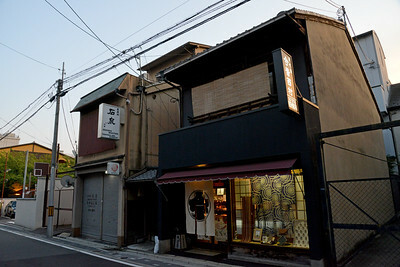 Situated at the east end of Shijō-dōri (Fourth Avenue), the shrine includes several buildings, including gates, a main hall and a stage. The Shrine became the object of Imperial patronage during the early Heian period. 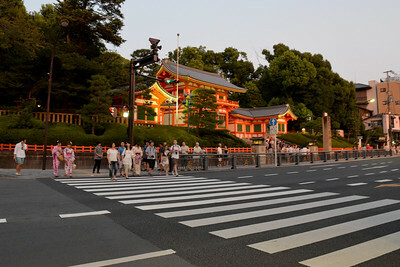 Today, in addition to hosting the Gion Matsuri, Yasaka Shrine welcomes thousands of people every New Year, for traditional Japanese New Year rituals and celebrations. 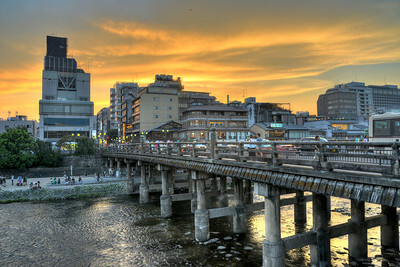 Kyoto (京都市) is a city located in the central part of the island of Honshu, Japan. It has a population close to 1.5 million. 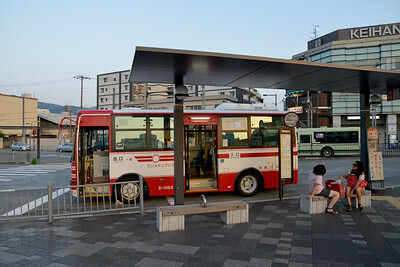 Formerly the imperial capital of Japan for more than one thousand years, it is now the capital of Kyoto Prefecture, as well as a major part of the Kyoto-Osaka-Kobe metropolitan area. 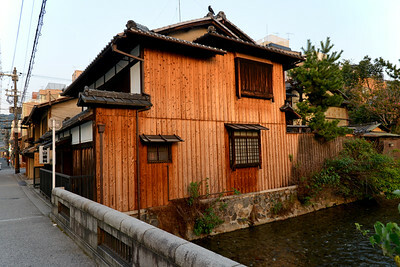 With temples, parks, bustling business districts, markets, from regal estates to the tightly-packed neighborhoods, Kyoto is one of the oldest and most famous Asian metropolises. 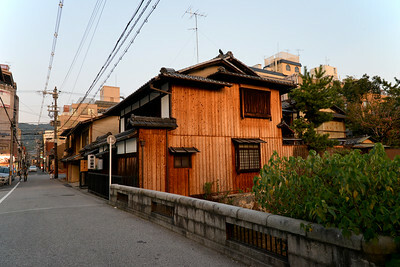 Although ravaged by wars, fires, and earthquakes during its eleven centuries as the imperial capital, Kyoto was spared from much of the destruction of World War II. With its 2000 religious places- 1600 Buddhist temples and 400 Shinto shrines, as well as palaces, gardens and architecture intact, it is one of the best preserved cities in Japan. 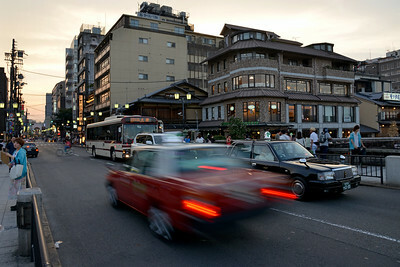 Yasaka Shrine (八坂神社), once called Gion Shrine (祇園神社), is a Shinto shrine in the Gion District of Kyoto, Japan. 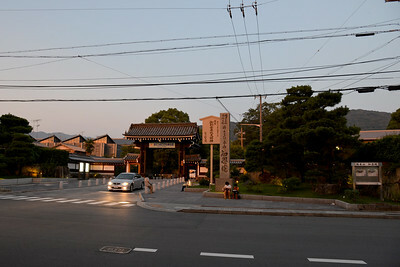 Situated at the east end of Shijō-dōri (Fourth Avenue), the shrine includes several buildings, including gates, a main hall and a stage. The Shrine became the object of Imperial patronage during the early Heian period. Today, in addition to hosting the Gion Matsuri, Yasaka Shrine welcomes thousands of people every New Year, for traditional Japanese New Year rituals and celebrations.